The supplement industry is huge. People literally spend billions of dollars looking for quick and easy results in a bottle. 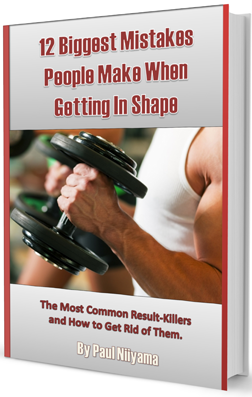 Many are looking for a way to get in shape without putting in any work. Just the other day some dude came up to me while I was working out and asked how well some fat burner product worked. I told him I hadn’t heard of the product he was talking about but his best results would come from a solid diet and workout routine. This was not what he wanted to hear. That is just one example of the many times I have been approached by a random stranger and asked about this product or that product but there is not “magic pill” that will get people results. No matter what you want from working out, there is no substitute for hard work and a good nutrition plan. Most supplements don’t live up to the hype and claims. Many of them will work based solely on the placebo effect. This phenomenon is based around your belief in something causing it to work whether there is any scientific value or not. Not all supplements are all smoke and mirrors though. There are a few that will increase your results if you are doing everything else right, but that is the key… you need to do everything else right. Some supplements will help your overall health, some will boost any deficiencies in your nutrition and some will make your workouts more effective. In this article, I will go over what I think are the most important supplements regardless of your goal. I will avoid discussing products that are more goal specific. Remember, if you have any pre-existing condition or are on medication; make sure you check with your doctor to make sure any supplement you take will not have a negative effect. Unless you have a medical condition, these are supplements that I recommend for everyone because they will help your overall health and performance. In a perfect world there would be no need for multivitamins. We would all eat the right amount of food with the right amount of nutrients, look great and all live happily ever after. Unfortunately we don’t live in a perfect world and we don’t always eat correctly and the nutrients we get from our foods are not always at the levels that we need. Deficiencies in vitamins and minerals can make our bodies feel out of whack. Multivitamins are often called a “safety net” that provides our bodies with the vitamins and minerals it needs to function properly. If you are on a calorie restricted diet, multivitamins are especially important because you probably are not getting enough nutrients from your foods alone. Another reason for a multivitamin comes when you are eliminating a certain type of food from your diet such as carbohydrates or fats. When you do this you will also be cutting out the nutrients that accompany those types of foods. Multivitamins can help to keep the nutrients in your body at normal levels. Most of the research on multivitamins just studied it’s impact on disease prevention. These studies are inconclusive [1,2,3] but, I don’t think that disease prevention is the goal with multivitamins. I personally think the goal of multivitamin use is to get the nutrients you may be lacking from your foods. Remember, the purpose of multivitamins is to just fill in the gaps you may be missing, not to give you an excuse to eat like crap. There are a lot of multivitamins out there. Some are better than others. Powders are usually better than pills but I use Optimum Nutrition’s Opti-Men. They also make an Opti-Women. Omega -3s have been shown to provide numerous benefits to the body. Some help working out and some help overall health. Smaller fish are lower on the food chain and will usually contain fewer toxins. Herring, sardines, mackerel and salmon are good sources of omega-3s and most fish oil supplements will source their oil from one or more of these fish. I use Barlean’s Organic Fish Oil since it does not give you the “fish burps.” It has a citrus flavor which is way better than a fishy taste. Depending on your diet and where you live, these supplements may not be necessary. If you get enough protein through your diet and enough exposure to sunlight, these will not be as important for you. However if your nutrition is screwed up and are indoors all the time or live in a place that doesn’t get much sun, these will be important to add to your diet. Protein is what creates muscle. If you aren’t eating enough protein, shakes are the easiest way to meet your daily needs. Most people should be getting between 0.6 and 1 gram of protein per pound of bodyweight per day. There are many types of protein powder with different rates of absorption. Whey is very fast, casein is very slow and all the others fall somewhere in between. If you are using protein powder as a meal replacement, one that offers a mix of different types of proteins and different rates of absorption may be your best bet. When choosing a protein powder, make sure you read the labels. Some have a lot of fillers and extra crappy ingredients that you don’t really need. If you are trying to lose weight, make sure you are not getting a lot of unnecessary carbs and sugars. I use Optimum Nutrition 100% Whey Gold Standard. I like the chocolate flavor, but they make a lot of different ones. It does not have as many fillers as some of the other brands and does not amino spike so what you see is what you get. Protein bars are another way to increase your daily protein intake. They are a quick fix that are more convenient that making a shake especially when you are on-the-go. But beware when selecting a protein bar. There are a lot of bad ones out there that have just as much sugar as a candy bar. Most protein bars have way too little protein and way too much sugar. Like with protein powders, you will need to read the label to see what you are actually getting. I use Pure Protein Bars. They are inexpensive and have a lot of different flavors. They are lower in sugar than most other bars and taste pretty good. Most people think that Quest Bars are the best out there. They taste good and have the lowest sugar of any bars that I have seen but they are also a bit pricey. Most people do not have adequate levels of Vitamin D in their bodies. It is found naturally in some foods like fish and eggs but is mainly produced in the body through sunlight. The body produces Vitamin D with cholesterol if there is enough exposure to sunlight. If you live in a place where there is not enough sun or if you stay inside all the time, your Vitamin D levels could be lacking so supplementation may be a good option. Now Foods Vitamin D-3 is a good product which I use.Vitamin D-3 is also known and cholecalciferol and is the type of Vitamin D that your skin makes and is the more common supplement than D-2. These supplements have been shown to have a positive effect on your workout. While they are not totally necessary, having a better workout will help to speed up any fitness or body composition result you are looking for. Both of these supplements can boost your workout performance and are in a lot of pre-workout powders. Learn to make your own Pre-Workout powder. The studies on creatine shows it gets you bigger  and stronger [17.] It does this by making the body more efficient at how it utilizes ATP and by hydrating your muscles. This should be used for all strength athletes as well as for people looking to add size. It can also be beneficial in weight loss programs with the proper nutrition and workout programing. Some forms of creatine are more expensive and make claims that they are more effective than others (Creatine citrate, creatine nitrate, creatine hydrochloride) but they are just as effective as the inexpensive creatine monohydrate. Creatine has a cumulative effect on the body which means you need to increase the stores you have in your body so see any significant results. That I why it does not make that much of a difference how quickly your body will absorb the creatine. I buy Bulk Supplements Creatine. There is no fancy packaging or marketing so it is the same product most people buy for a fraction of the cost. It’s a strong workout booster that has a lot of research behind it and it is very inexpensive. Some people don’t need extra caffeine from a supplement because they have a cup of coffee before their workouts. If you are like me and don’t drink coffee then supplementation is the way to go. Although there are numerous benefits to caffeine, it is a stimulant so your body can develop a tolerance to it and you could go through withdrawals when you discontinue its use. Too much caffeine is not good and can increase your risk for certain health issues, so it is a double-edged sword. Although many people do a lot more, I would not recommend getting more than 400 mg per day. ProLab Caffeine is a good, inexpensive source of caffeine if you choose to use a supplement. No fancy packaging with this one. So that is my picks for the top supplements of 2015. Nothing fancy. All my picks are pretty conservative and don’t make any outrageous clams or promises. Did I forget anything? What supplements do you like to use? I’d love to hear from you. Leave a comment down below or visit the Muscle Building Foods Facebook group and start a discussion.